When constructing a Deck in Edmonton there are a number of factors that have to be taken into consideration… BEFORE you actually start looking for Edmonton deck builders and “hammering nails into wood”. With this in mind, it’s extremely important that as the owner of a property you are fully aware of your legal obligations and permitting requirements imposed by the City of Edmonton… BEFORE you start your project! 1) Do I need a permit to build a deck in my own yard – what are the City of Edmonton Deck Regulations? It pays to know the City of Edmonton Deck Regulations. If you are planning on building a Deck above 2 feet (0.6 m) in height you DO require a permit. With that said, if the Deck is serving as a “Principal Entrance”, then a permit WILL be required. If the Deck height is going to be above 6 feet (1.8 m) you are required to speak with a Building Technical Advisor prior to preparing and submitting your Residential Development & Building Application forms. 2) How much does an Edmonton deck permit cost? The cost of the Residential Development & Building Application (permit) includes a number of fees such as; Development Permit, Building Permit and Safety Code Fee. The cost of a deck permit in Edmonton also depends on a number of construction factors such as the “Value of Construction” and “Type of (uncovered or covered) Deck” you are planning on constructing. Typical (2018) fees for an Uncovered Deck Permit in Edmonton are $228.50. Please note: this fee only covers the “processing fee” that has to be paid to the City of Edmonton at the time the Application is filed. Costs to complete and prepare the Deck Design Form, Deck Design Drawings and Processing of the Application are all extra costs that you will need to take into consideration and budget for if you are planning on constructing a Deck above 2 feet (0.6 m) in height. 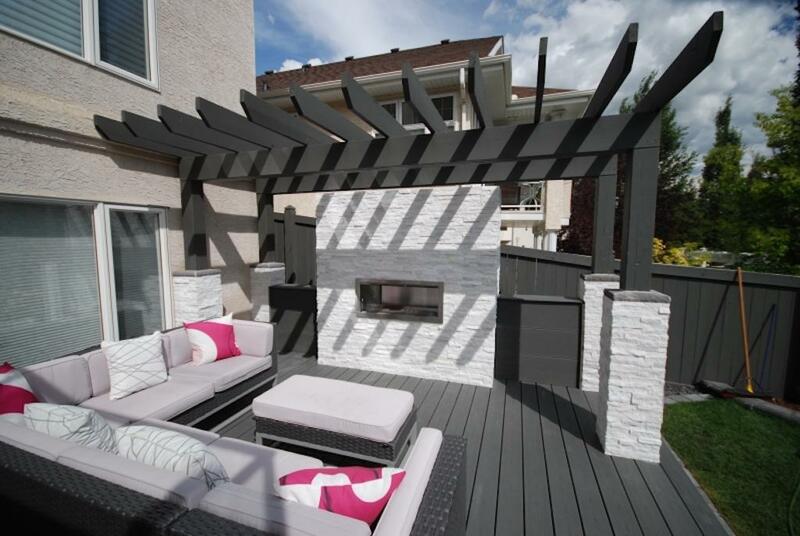 Given that the Residential Development & Building Application contains a fair amount of “technical” related construction information, combined with the necessary skills that are required to prepare a Detailed Design Drawing, we highly recommend that you hire the services of a professional Edmonton Deck Building Contractor to assist you with the process. 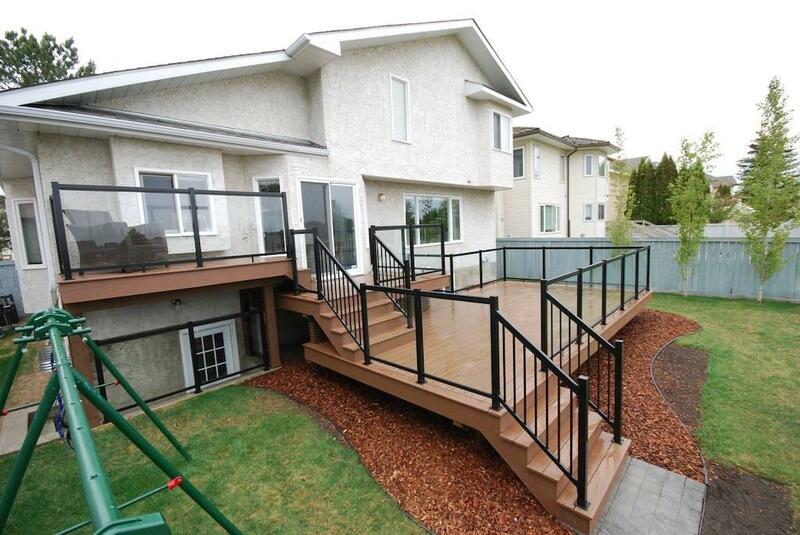 Edmonton deck builders like us can help! 3) Do I need to install piles to support my deck? If your deck height is less than 2 feet (0.6 m) you are not required to install Piles. The Deck can sit on grade and be supported by a series of Concrete Slabs and Piers. For Deck heights that exceed 2 feet (0.6 m) we recommend the incorporation of a Piling Support System. A Piling Support System prevents any movement of the structure as a result of “frost heave” that may be imposed during the winter months. While Concrete Plies do the job, they rely on “static weight” and “friction” to prevent them from being forced upwards. Screw Piles are far superior as they are drilled into the ground and lock themselves into the native soil (clay in Edmonton) that encases them. If a property is constructed close to a lake or in an area where there is a relatively “high water table”, Screw Piles are highly recommended as they are better suited to the adverse effects of “Hydraulic Lift” that is imposed by the upward pressure created by the ground water or moisture trapped in the soil. 4) Do I need to install handrails on my deck? You are only required to install a handrail (fall prevention system) if your deck is above 2 feet (0.6 m) in height. This measurement is taken from the “walking surface area of the deck” to the “finished grade directly beside the deck”. If the deck is going to be higher than 2 feet (0.6 m) you are required (by safety code standards) to install a handrail (fall prevention) system. Handrails can be constructed utilizing Wood or a combination of Aluminum & Glass. While Wood will do the job, Aluminum & Glass look so much better and requires very little or zero maintenance. Aluminum & Glass Railings are costlier to initially install, but they are offset by the reduced maintenance costs as time goes by. 5) What’s the difference between using wood or composite (man-made) deck boards? Wood (Spruce, Pressure Treated or Cedar) Deck Boards are definitely cheaper than Composite Deck Boards, but Composite requires very little in the way of ongoing maintenance. Composite boards will also provide you with a much improved end product as they are uniform (no unsightly knots or cracks) and they utilize a fastening system that is hidden, compared to unsightly screws that are used to fasten Wooden Deck Boards. So, it really comes down to your budget. Composite Deck Boards and Facia are more expensive than Wood to install, but you will save in the long run because you will incur very little in the way of maintenance costs over the lifetime of the deck. 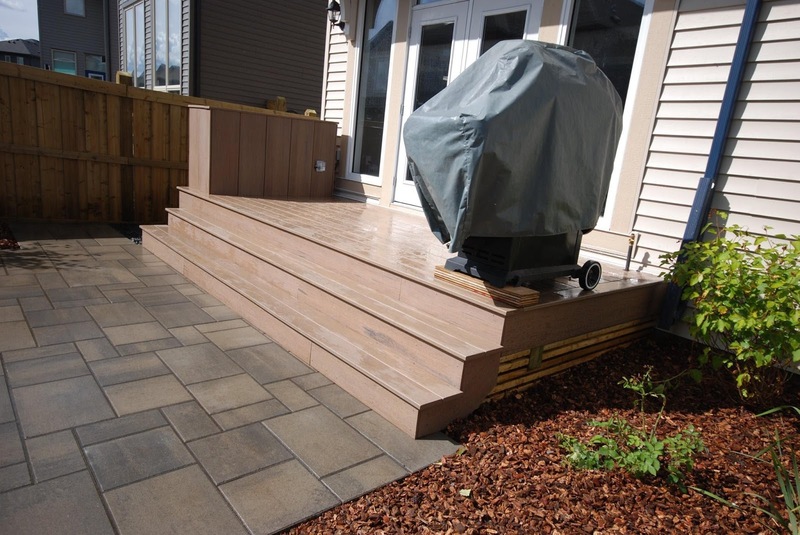 In Canada there are also climate considerations, so be sure to ask as more about the best composite decking for Canada! If you fail to obtain a Permit (for Decks that require them) and you elect to proceed with the construction, you run the risk of having to tear down the Deck when you are ready to sell your property if it fails to comply with Alberta Building and Safety Code Standards. We trust you found this article informative? Should you have any questions or if you would like to speak with us regarding your Edmonton Deck Project… we would love to hear from you!